Best Form of Government – Will Anything Ever Work? I understand you negative opinion on Socialism & Communism, but I’m confused by you opinion on a Republic. On paper a Republic looks like an ideal form of freedom, where-as a democracy dictates majority rules and 50.01% can do a lot of damage to the remaining citizens. I understand that through history Republics have failed just like every other form of government, but are you suggesting that a democracy will not succumb to human failings and turn on it’s people like this Republic of the United States has? ANSWER: There is no single form of government that will ever be perfect. Whatever its form, government will self-corrupt and both sides will fight between the people and government perhaps eternally. The best form of government for brief periods of time are benevolent dictators, monarchs, or emperors, such as Julian II, who even decreed that whatever laws he passed must also apply to himself. Such individuals are rare indeed and once they are gone, the system will revert back to its corrupt state. Another system that actually worked very well was Genoa. There the “Doge” (head of state) was selected each year from the head of a prominent family. The rich families ruled on a rotating basis annually. What made it work well was the short-term period. No family would ever pass something Draconian because it would apply to themselves the next year. The system was not one of rich v poor, but Genoa v Venice and Florence. The interests were furthered collectively rather than this philosophy of party politics. Therefore, each class benefited. It also lasted longer without corruption than Florence or Venice. The best we can hope for is a hybrid between Democracy and a Republic that is restrained by a Positive Constitution rather than a Negative one as we have in the United States. In other words, if we have an everyday bureaucracy to run things that is subject to review by the people who rotate annually, there is some hope that it might last longer before it collapses. Much of the bureaucracy should be privatized where management will be proper and employee pensions will actually have to be there. When government is in charge, those in power just exempt themselves from the laws that apply to others – the first step in the corruption process. With technology, each and every measure must be voted on by the people. There should be no Clean Water Act that has hidden some study on traffic flow in a city nobody ever heard of to line the pockets of someone’s family member. Voting can be done via your laptop and if each and every bill must be presented individually, that will stop the nonsense. Judges CANNOT be appointed by anyone in government. They must be as Ben Franklin argued, nominated by the guild of lawyers. That way the best will rise to the top – not the most corrupt. Prosecution must also be independent and the people MUST actually indict meaning that they hear both sides in a grand jury. Plea bargaining must end and CONSPIRACY must end. Only those who are involved in a crime may be charged – no one else. No one charged with a crime may testify against another. Self-interest in prosecution must end. While legal scholars tend to look at Article III of the US Constitution as based upon the English legal system modeled on Blackstone’s famous Commentaries on the Laws of England, Franklin argued for the Scottish System that was far superior. Indeed, the Scottish judicial system provided an important, but overlooked, model for the framing of Article III. Unlike the English system of overlapping original jurisdiction, the Scottish judiciary featured a hierarchical, appellate-style judiciary, with one supreme court sitting at the top and an array of inferior courts of original jurisdiction down below. What’s more, the Scottish judiciary operated within a constitutional framework — the so-called Acts of Union that combined England and Scotland into Great Britain in 1707 retained the independent legal structure of Scotland and prohibited the English courts from interfering with those of Scotland. The influence of the Scottish judiciary on the language and structure of the US Article III legal framework is clear where there is a Supreme Court with multiple inferior courts that are subordinate to, and subject to the supervisory oversight of, the sole supreme court. The Scottish model thus provides important historical support for the supremacy of the Supreme Court, however, the blending of this with the English system rendered the inferiority in Article III to operate as textual and structural limits on Congress’s jurisdiction-stripping authority from the courts. But the most dangerous flaw appears to be intentional – Congress appoints judges not lawyers. This allowed the English legal system to be politically manipulated whereas the Scottish System was really independent. This MUST be corrected to restore the rule of law. Career politicians get bored and pass laws just to have something to do like in Utah you cannot drink before ordering dinner or in Europe regulating cow farting. This is why a representative form of government with career representatives is doomed to always fail. They can be bribed to enact particular laws to benefit some party. The only check and balance would be to rotate, as in Genoa, and to allow the people to vote online. A raw unrestrained Democracy would devolve into mob rule. That we cannot tolerate either. There should be something that rotates as a Constitutional court as in France where each law passed MUST firs be ruled on as being Constitutional by a body of lawyers that rotates and MUST be trained in constitutional law which is significantly different from following statutory law. The former is structural design while the latter is following the letter of the law. This is a Positive Constitution that restrains government and is a real Bill of Rights. We have the negative form where government gets to do whatever it likes and we must prove we have any rights – very bad. Prison should be outlawed for non-violent crimes. The ONLY reason a government has the right to restrain the liberty of an individual is to protect others from bodily harm – that is it. Every law passed by Congress states – “fine or imprisonment or both”. That must stop. 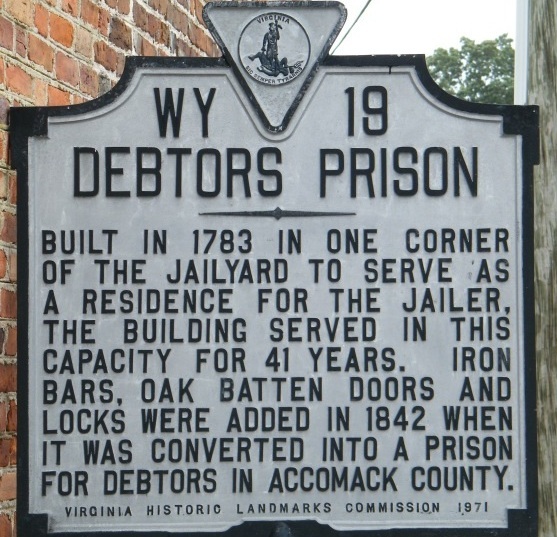 Debtor’s Prison must end. The USA imprisons more people than the rest of the civilized world combined. Why are we so prison happy when only about 4% of the people in prison are there for a violent crime? A woman with children was taken to jail for not wearing a seat belt and the Supreme Court, being pro-government appointed by politicians, voted 5-4 that the police can imprison you for anything even if the crime does not call for jail time. We have a virtual 99% conviction rate because there is no way to win against pro-government judges. Fair trials are a joke. They do not exist in the Federal court system. There seems to be the potential to at least learn from the various political types of governments, how they functioned, how long did they last, and what was the impact upon the people. The advantages of Genoa was that the short terms restrained the Doge compared to Venice where the Doge was for life. Venice froze the estate upon the Doge’s death and only THEN reviewed all his actions to see if anything was gained illegally. Then the state would reclaim the “illegal” gains. That was closing the barn door after the horse ran away. Government is corrupt and rotten to the core – it is honorable only for brief shinning moments when the dark clouds leave a crack. 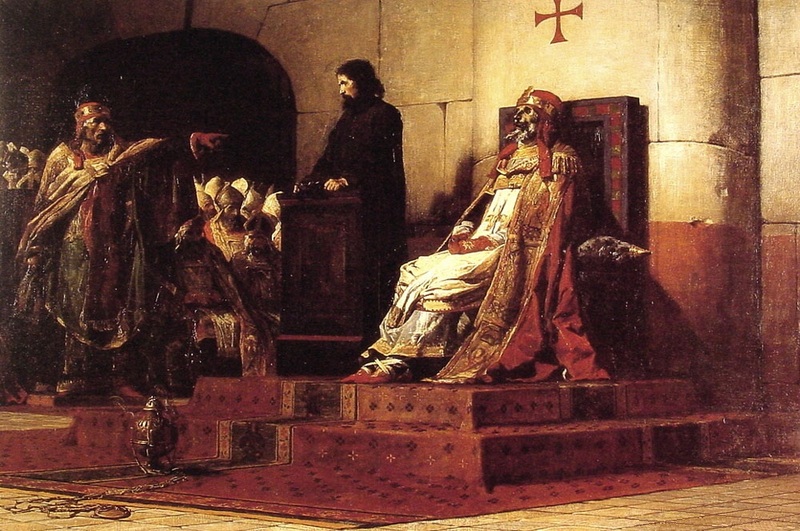 One Pope Formosus (c. 816 – 4 April 896) ruled against a Lord so the Lord rigged the game to become Pope and then put Formosus’ dead corpse on trial, had a friend answer for the dead Pope. 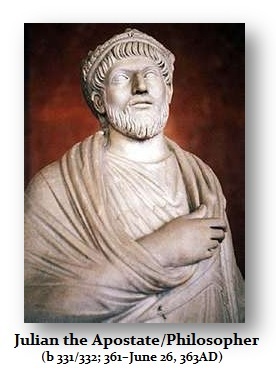 Naturally, Formosus incriminated himself, who wouldn’t in such circumstances, and he was promptly found guilty, nullified all his decrees, and then claimed his property back. They will do anything – absolutely anything. 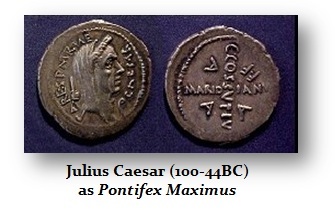 Julius Caesar (100-44BC) had to assume the role of high priest to create a calendar because the politicians were bribing the high priests to add days into the calendar to avoid elections. There is absolutely NOTHING those in power will not do to society for their own self-interest. Finding someone ethical who really cares is one in a billion. The key is to review each form of government and take what worked and avoid what did not. We have to understand that no system will ever last forever. So the best we can do is design a system that has the best features and some internal mechanism of checks and balances. Nevertheless, whatever we can think of, will merely create the challenge for others to figure ways around. If we eliminate taxation and restrain government expenditure to what is required for natural expansion of the money supply to facilitate economic growth, then the majority of the lobbying will cease and therein lies the deepest cracks for corruption.